Mr. Shoham is an associate with Foreman Friedman PA. Originally from Washington DC, he graduated from the University of Maryland in 2003 with a degree in Government and Politics. 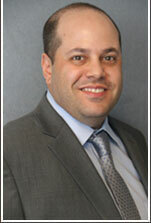 In 2007, Mr. Shoham received his Juris Doctorate from Widener University School of Law in Wilmington, Delaware. After spending six years in management for a privately owned licensee of Serta, Inc., he relocated to South Florida with his family, passing the bar examination and gaining admission to the Florida Bar. Currently, Mr. Shoham concentrates his practice in the area of admiralty and maritime law.